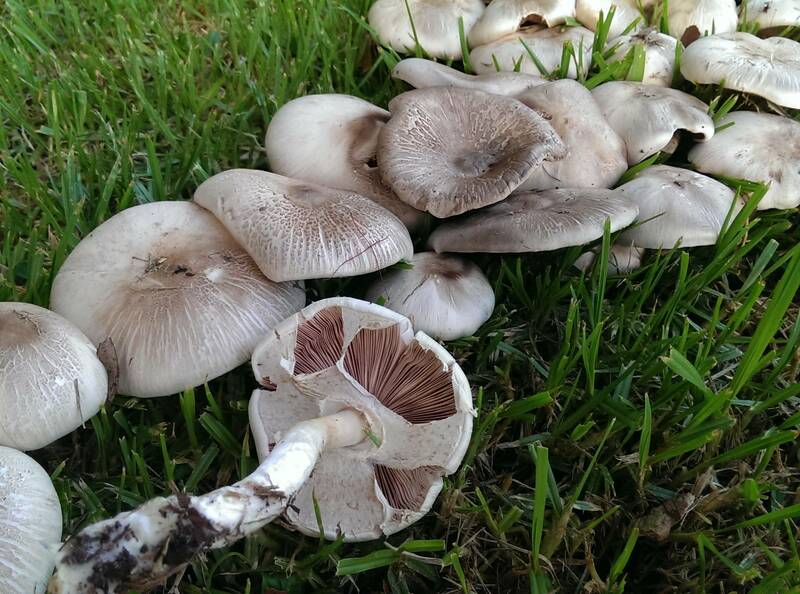 Does anyone know if these mushrooms, that are growing in my back yard, (see picture) are edible? There are a handful of distinctive mushrooms that are usually safe to pick, even for a layman. This ain't one of them. This looks quite a lot like a member of the Amanitaceae family (shaped like an umbrella, with white "gills"), and people tend to avoid those because they all look similar, and some of them can kill you. If you don't know for certain what they are, don't eat them.